There is an abundance of regional economic data available through existing sources but no single data bank in Hampton Roads. On this page you will find links to major providers of economic information related to Hampton Roads, resources used by the four study groups and the Phase One study group reports. Virginia Performs, which produces Hampton Roads Performs information. Data is gathered and analyzed by the Weldon Cooper Center at the University of Virginia. Indicators fall in these areas: economy, education, health and family, public safety, natural resources, transportation and government and citizens. Hampton Roads Economic Development Alliance, which provides information on the region’s largest employers, manufacturing companies, international firms and other employer information. Hampton Roads Planning District Commission, which produces quarterly and annual studies related to regional demographics, population, income and earnings, employment, housing, labor force, retail sales, real estate, tourism, ports, transportation, local tax collections and quality of life. Old Dominion University, which conducts several regular and special studies related to the economy. They include an annual economic forecast project and a state of the region report focused on the overall economy and special areas that vary from year to year. Hampton Roads Workforce Council, which includes workforce and labor market information. Peninsula Council for Workforce Development, which produces the Greater Peninsula State of the Workforce Report and other related studies. The Planning Council, which produces an Investment in Priorities report focused on regional jobs, education, neighborhoods, wellness and inclusion. Virginia Port Authority, provides statistics related to port performance and economic impact. 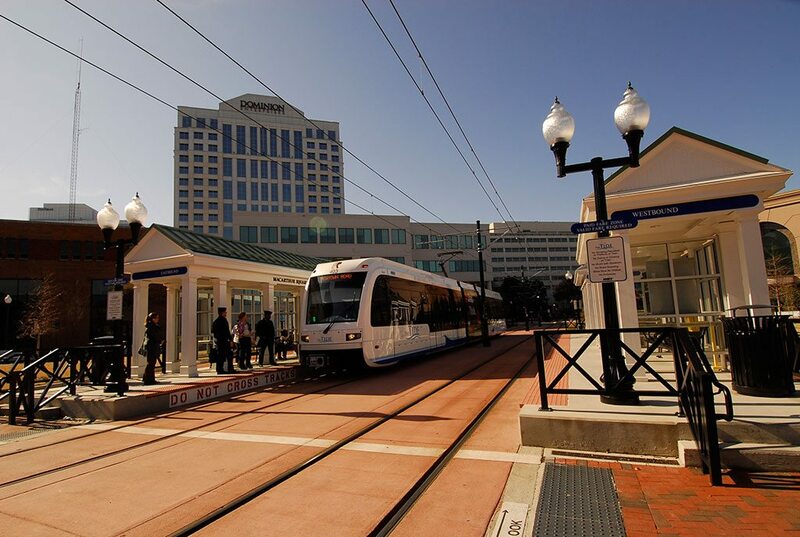 The Hampton Roads Regional Benchmarking Study is comprised of 14 sections that cover measures of the regional economy, various industries, demographics, transportation system, education system, government finances, and quality of life. The report also includes metrics on each of the region’s localities in relation to each other. This report was part of the HRPDC Unified Work Program for 2010-11. It provides a comprehensive review on literature and data concerning regional competitiveness and mechanisms for achieving productivity growth. The report outlines three applications of the theoretical models that indicate the source of regional productivity growth. It also identifies a host of difficulties that arise when attempting to follow growth patterns from other successful regions. Evidence suggests that each region’s path to sustained growth is unique, growing organically on regional strengths and economic clusters. In reviewing both the failures and successes of development efforts across the globe it is evident that the most important aspects in achieving sustainable growth are to focus on developing a culture and environment that is built upon regional strengths, invests in education, encourages entrepreneurship and business growth, and has an effective system of governance. Wind Power Industry in the US – Using IBIS World as the source, the report included the size and structure of the industry from a global perspective, supply chain, associations, offshore wind projects worldwide, wind farm projects in the US, wind power in VA along with companies in the Commonwealth (includes those participating in the Hampton Roads Offshore Wind farm Project). The National Cybersecurity Workforce Framework classifies the typical duties and skill requirements of cybersecurity workers. The Framework is meant to define professional requirements in cybersecurity, much as other professions, such as medicine and law, have done. The Framework organizes cybersecurity into seven high-level Categories, each comprised of several Specialty Areas. Economic Impact of the Department of Defense on Hampton Roads (October, 2013)This report relies on data from four key sources—the Consolidated Federal Funds Report, USAspending.gov, Bureau of Economic Analysis, and the Bureau of Labor Statistics. The Census Bureau’s Consolidated Federal Funds Report (CFFR) is widely considered the best comprehensive source of information on government spending, but federal budget cuts eliminated their ability to produce the report in 2012. Bureau of Economic Analysis calculates data for military employment, military compensation, as well as government transfers to Veterans. This information is updated annually, with a two year data-lag. The research in this report quantifies the total amount of federal spending in Hampton Roads. This document was compiled by Marco Alexander Martin, an ODU Economic Intern at the Hampton Roads Military and Federal Facilities Alliance, during the period of June 2011 to May 2012. This report provides an overview of the U.S. shipbuilding and repairing industry and the importance of this sector nationally and by state. Medical simulations equipment and software – includes global market value, companies in the US, major Simulator Buyers, products, organizations (healthcare), universities (includes ODU, EVMS, and UVA) as well as military applications. Port-related tax incentives – describes tax incentives offered in other port communities such as Portsmouth NH, Boston MA, Providence RI, New Haven CT, New York/New Jersey, Baltimore MD, Hampton Roads VA, Wilmington NC, Charleston SC, Savannah/Brunswick GA, and Jacksonville FL. In 2009 the College of Business and Public Administration and the Research Foundation conducted a study for the City of Virginia Beach to estimate the total economic impact and direct taxes and fees generated by the 2008 inflow of visitors to the city’s tourism industry. Drones and unmanned vehicles – defines the sector and classifications assigned by DoD, product segmentation for air drones, industry size and structure in the global economy (life cycle stage, capital intensity, regulation level, barriers to entry, competition, uses, future outlook, key external drivers), supply chain (buying and selling industries, products and services, demand, market segmentation, markets, concentration,, success factors, competition, barriers to entry, globalization, major companies, technology change, revenue volatility, regulation & policy, and industry data), list companies and current commercial uses, military uses as well as DoD funding. The report also includes the top 20 NAICS codes and Federal prime contractors associated with drones. Unmanned underwater vehicles – This report provides a brief history, the industry, its size and structure in the global economy, supply chain and other pertinent information as well as research and analysis. “Pathways to Prosperity: Meeting the Challenge of Preparing Young Americans for the 21st Century.” Harvard University. 2011. “The Pathways to Prosperity: A state progress report, 2012-14.” Harvard University June 2014. “Virginia’s Biennial School Readiness Report Card 2013” Virginia Early Childhood Foundation. 2017. “Smart Beginnings to Pass the Torch” The Hampton Roads Business Journal 21 September 2012. “How High Schools Become Exemplary: Ways that Leadership Raises Achievement and Narrows Gaps by Improving Instruction in 15 Public High Schools.” Harvard. 2009. “Hampton Roads Active Duty Transition Data 2004-13.” Defense Manpower Data Center March 2014..
“The Hidden STEM Economy Nationally .” The Brookings Institute October 2013. “Virginia’s Workforce System Report Card” Council on Virginia’s Future April 2014. “Workforce Development in Virginia” The Commonwealth Institute. December 2013. “Blueprint Virginia: A business plan for the Commonwealth.” Virginia Chamber of Commerce. 2014. “Recovery: Job Growth and Education Requirements Through 2020” Center on Education and the Workforce. June 2013. “Greater Peninsula State of the Workforce Report 2014 Executive Summary.” Peninsula Council for Workforce Development. 2014. “State of the Workforce 2017.” Opportunity Inc. 2017. “Skills to Succeed Inventory: Virginia Peninsula Career Pathways in Advanced and Precision Manufacturing Technologies.” Peninsula Council for Workforce Development. 2012. “Strong Talent Drives Strong Economies: The role of talent, Innovation and Collaboration” Governing. 2013. “Training for Success: A policy to Expand Apprenticeships in the United States.” Center for American Progress. December 2013.